Skulls and bones of all times are the most creepy yet prettiest thing on clothes and accesories. I personally love them and I have a lot of them! duh - isn't obvious? 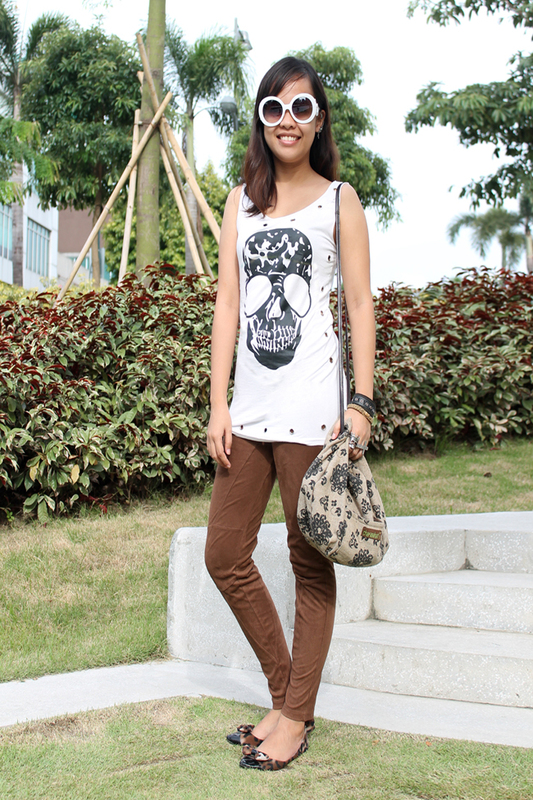 haha well other than boho look and those gypsies accessories - skull and bones are one of my fave. Thanks to OASAP.COM for adding a piece on my collection. Thanks :) that makes me sad coz I just mess it up in the laundry. 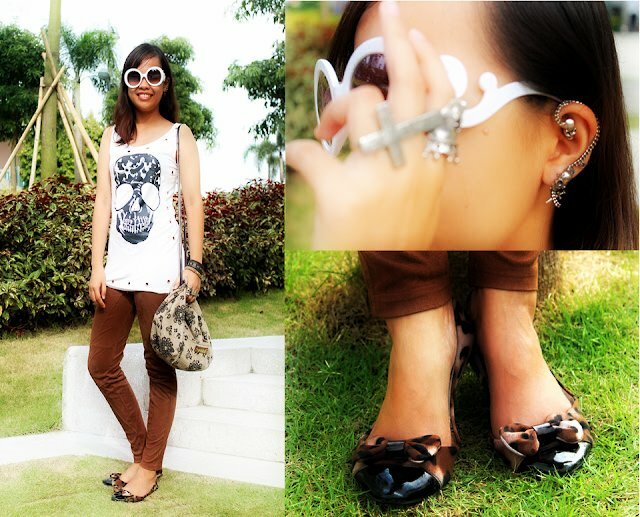 I love your earring and your shoes are adorable! very chic flats and pants!! love your sunglasses!! Thanks for following :) you have a lovely blog too! This is really adorable look, dear~ I love the colors and the way you styled up the whole outfit~! would you like to follow each other? Awww, so nice to hear that :) Im now inspired! that is one of my favorite :) and am about to post the second! yeah they are, Thank you! Love those sunnies!! I have some like that too! New to your blog! Totally following! I love your flats, so cute! Love your sunnies! Thank you for your comment on my blog! Have just followed you, return love back? I got a similar pair of sunnies, they are pure love. I bought them in white too, am waiting the arrival! Besos. Love all these look, and your earrings are awesome!!! This looks great, really nice style and great photos. You look sooooo cute, I love the entire look and especially the sunnies.